Amid attention that kids are spending more and more time on screens, cutely termed "smartphone addiction, Apple made parental controls a priority this year. In March, the company launched a website containing all of them across its platform. 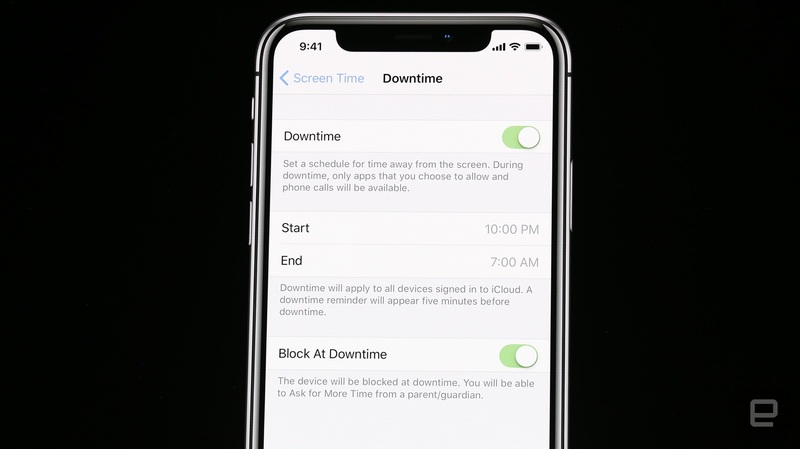 At WWDC today, Apple introduced a new center coming to iOS 12 called Screen Time to assist folks in limiting their own usage -- but also introduced a slew of settings to help them manage their kids' app time, too. Most of these tools are inside Screen Time, where parents can use their own device to check their kid's Activity Report and manage their app use time. From there, they can allot a custom amount of time per app that kids can't extend, or create a Downtime to block everything but selected software and phone calls for a set hourly range (say, enforcing digital curfew from 10PM until 7AM).